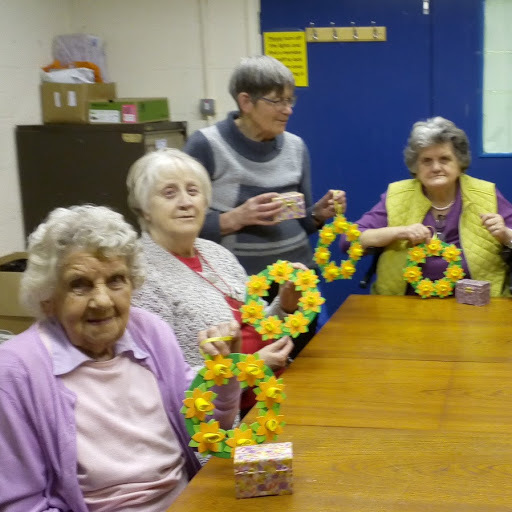 Our Art and Craft club is held once a month at The Prospect Centre. Sessions include a range of art and craft activities available to try and share. All materials provided and refreshments. Everyone having fun with a newly established group we call VisionFit. This is a monthly session of seated chair based exercises in Selby College. We meet monthly at the Brayton Bowls Club for an informal but fun bowling session. Refreshments are available. Held every Friday at The Prospect Centre, Selby. A friendly group get together for large print cards and bingo, socialising and refreshments. New members would be warmly welcomed. Our lT Volunteer can offer one-to-one sessions, with laptop and desktop software training, he will work with you at your own pace using software specifically designed for visually impaired computer users. Sessions held at The Prospect Centre. Because of its simple and straightforward menu structure and intuitive design, Synapptic requires very little training, so most people teach themselves how to use it in just a few minutes. If extra advice and support is needed, a Help Page can be accessed for each and every screen. A monthly club held at Selby Library. All books are provided in various audio formats, with discussions on a variety of books. We have established an award-winning community garden on site at The Prospect Centre. The gardening group meet regularly to work in the garden and would love to hear from anyone interested in gardening and getting involved. We have a Macular Support Group in Selby , the sessions are run on a quarterly basis. This group has been set up for people with the eye condition Macular Degeneration the most common eye condition in the UK. The sessions are on a Tuesday 1pm – 2.30pm (quarterly) but dates may vary please contact the office for the next date on 01757 709800. Within the group we talk about Macular Degeneration first and foremost but the aim of the group is also to allow people to share their own experiences living with AMD and talking to other members , sharing ideas and making new friends. A number of our members who have the eye condition Retinitis Pigmentosa , have set up a support group, for anyone living with retina related eye conditions. The group meet quarterly at the Prospect Centre. If you would be interested in being involved any of the clubs listed above, please do get in touch – 01757 709800.